ALL COSTS ARE OPPORTUNITY COSTS: shall I buy that pair of shoes or pay down some debt? All costs are what? Who says so? I’ve recently started reading books about economics. OK, OK, I know: I’m a sad person, I should get out more. But it happens that I do get out a lot. Everywhere I go, and everything I read, reminds me that I don’t know enough about the theory and practice of economics, the so-called “dismal science” that underpins our society. Hence my decision on reading matter. Luckily, the first book I found in my local library’s very small economics section was called “The Instant Economist”, by an American professor called Timothy Taylor. Luckily, because this book is so clear and so well written. The back-cover blurb says “the only economics book you’ll ever need”. That’s quite a selling point. All costs are opportunity costs: what does that mean? Prof Taylor gives this simple example. Suppose you are thinking of having your house cleaned in future, rather than doing it yourself. You’ve researched it and find it will cost you $300 per month, i.e. $3600 per year. But instead of thinking of just that figure, think of what else the money could buy. His example was a holiday in Mexico. You might change the destination if you lived in Europe (or you were already located inMexico) but you get the point. That holiday is the opportunity cost. Or, as he puts it, the true cost is not the money you spend (and $3600 is “just a number”) but the thing(s) you give up. Is that assertion qualified by an assumption? Well, I’m no economist (yet) but I think it must presuppose that resources are limited. But that’s no problem, because they almost always are. Yes indeed. I’m planning a party this year to celebrate a significant birthday. (since you ask, I’ll be 40. Again). A couple of weeks ago, I got enthusiastic about a certain venue that seemed perfect; great environment, wonderful location. Then I found out the cost: over £1000 to hire the venue, excluding catering and booze. That should have ruled it out immediately but I’d already fallen in love with the idea. I thought “That’s expensive but maybe I can find that.” The money could have been found (and justified to myself! ), but I didn’t think about the opportunity cost. She was right; I could have that holiday, or give the money I might have spent to my daughters, to help them with a deposit on a flat. Opportunity cost again. Any examples in the news? Here in the UK, the cover story in my paper today (29 Jan 2013) is rail investment; the front page headline is “North and south unite against HS2.” If you live in the UK, you’ll know that HS2 is the planned new high-speed rail link; today’s news is that the routes for Part 2 of the project have been announced, linking Birmingham with Leeds and Manchester at a planned cost of £30+ billion. There are environmental objections, of course, and these will probably delay commencement of work for ten years. But there are other objections, especially this: if the aim is to “spread the UK’s wealth”, as claimed, are there better ways of spending £30bn? Especially in a situation where many parts of the existing rail network are of third-world standard. So, again, opportunity cost is the way to think of this issue. It’s about choices. So what’s the connection with Back to the Black? The Oxford English Dictionary defines that part of a person’s income remaining after essential living costs as “discretionary income”; however, you’ll often find the term “disposable income” used for the same purpose. Strictly speaking, though (again according to the OED), disposable income is simply gross income minus tax. These days the two terms are used interchangeably – especially in the UK – for what we’re discussing here. I prefer the term “discretionary”; it’s a good description because these are the funds over whose use you have “discretion”, i.e. you are the decision-maker. You, and no-one else, can decide how much of your discretionary income you’ll spend on non-essentials and how much is available to pay down debt. Thus, as I said at the top of this piece, “all costs are opportunity costs.” It’s apparently a key principle in economics; but it also has very practical applications in our daily lives. An author who faced bankruptcy shares what he learned and reveals the key questions that can help individuals deal with debt. A new self-help book for people with debt problems has been launched today. 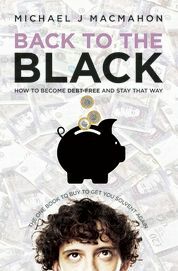 “Back To The Black: how to become debt-free and stay that way” is based partly on the author’s practical experience of escaping bankruptcy and partly on the principles of coaching. 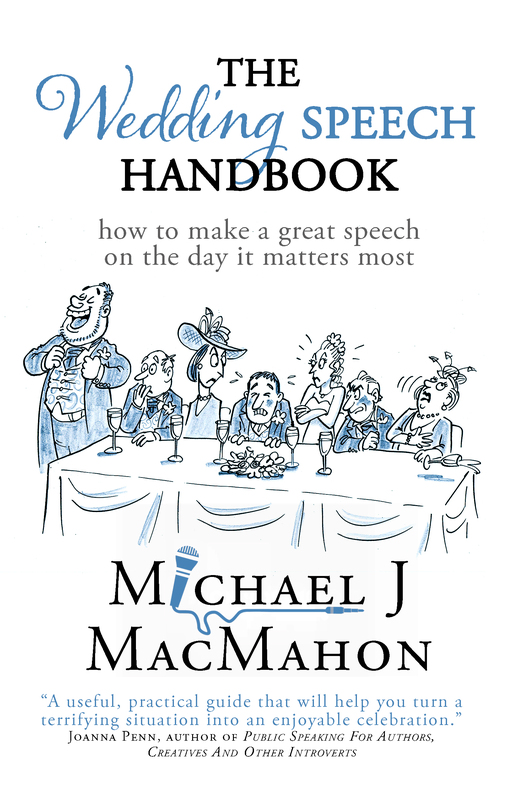 Chapters 1-3 in their entirety are now available as a free downloadable file, at www.scribd.com/michael_macmahon . Start by listing all your debts, bank balances and assets: knowing the truth is better than a vague feeling of threat. Communicate with creditors: the problem gets worse if you ignore it. Make an offer: any offer, no matter how small, is better than none. Never negotiate on the phone: do it in writing; it’s less stressful. You don’t need to be alone: get help from a debt advice organisation. Keep records of all communications: it pays dividends. A few years ago I hit a financial crisis. I had a business which, after five very promising years, had begun to stagnate. I had turned a blind eye to the problem and came very close to bankruptcy. With the help and support of friends and of a few professionals (one of whom happened also to be a friend) I was able to avoid that, and eventually came through the experience without permanent scars to my spirit or credit rating. Later, I decided to write a book about the experience and what I had learned from it. My book would be written from the perspective of someone who had been there, had the problem and found a way out of it. After spending a lot of time over the past two years trying to get a deal with mainstream publishing houses, I have now decided to self-publish the book. It will be available first as an e-book; later, depending on demand, as a paperback and an audiobook. The e-book will be available early in the New Year. Its working title is “Back to the black: how to become debt-free and stay that way.” If you’d like to be advised by e-mail when it’s available, please post a response on this blog.